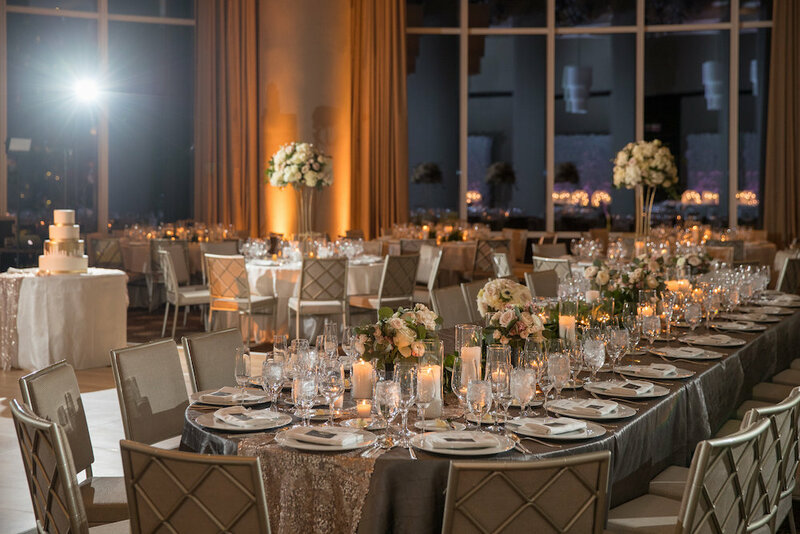 Having a New Years Eve wedding was the perfect way to close out 2017 and ring in the new year as husband and wife for this couple. 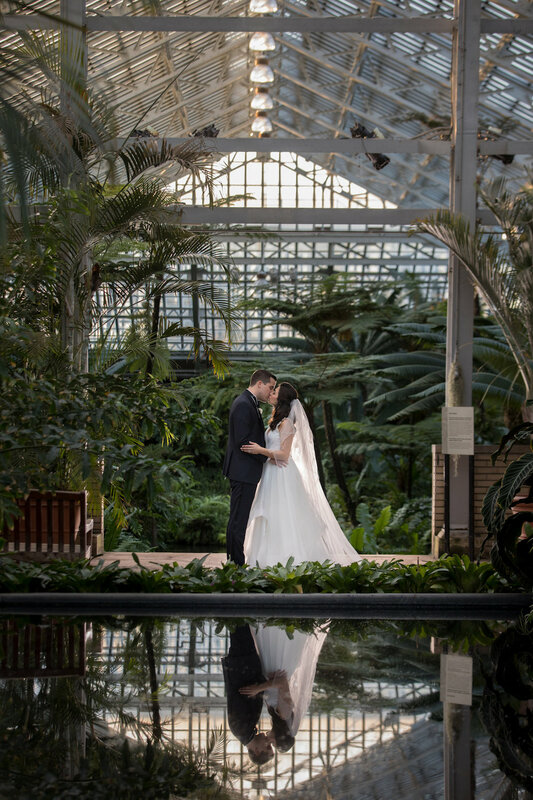 Adam and Francesca wanted their wedding to be one big party that they would never forget and that it was! 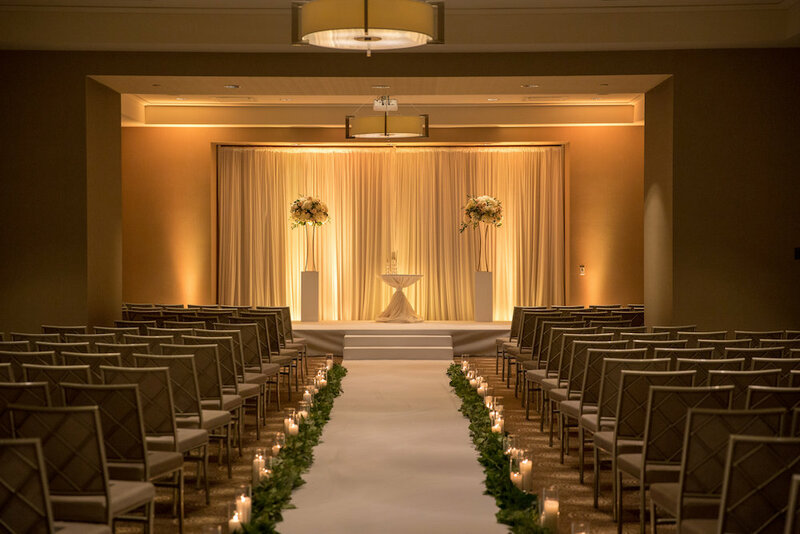 The ceremony and reception took place at the same venue which allowed their wedding day to run smooth and stress-free. 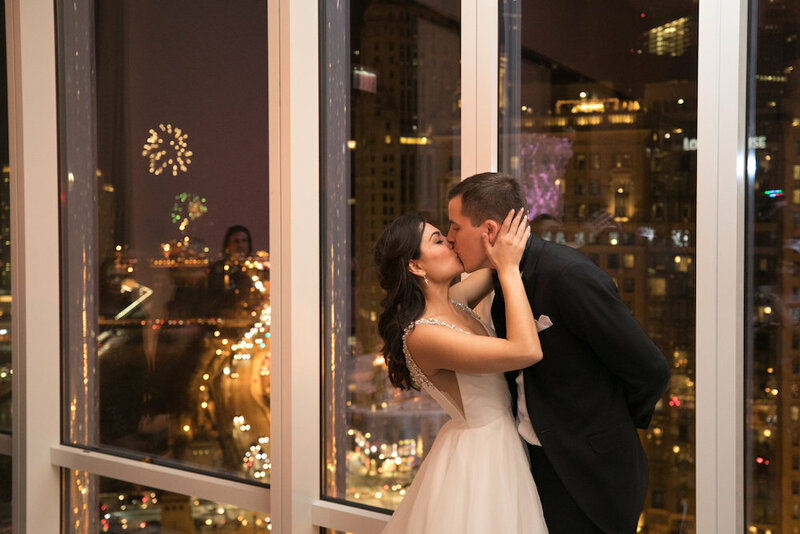 Aside from having all of their favorite people in one place, the best part was ending the night with a balloon drop at midnight while watching the Navy Pier fireworks. 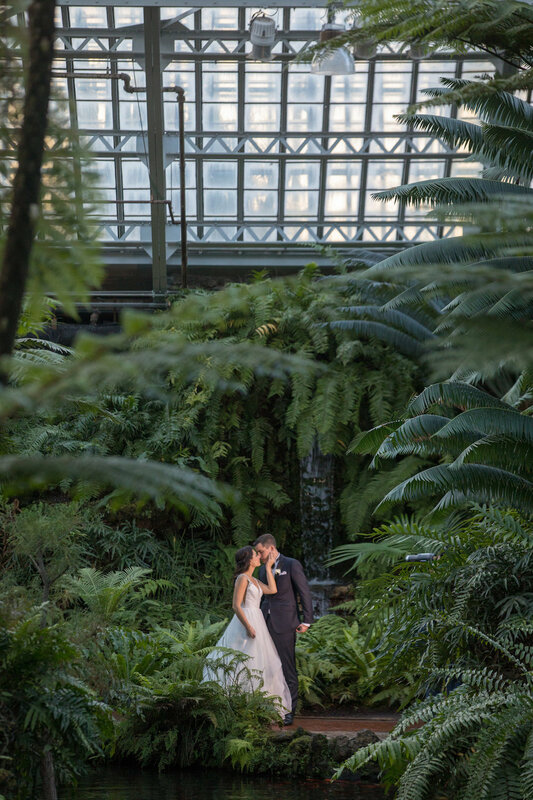 Collin Pierson Photography was able to capture all of the magic! 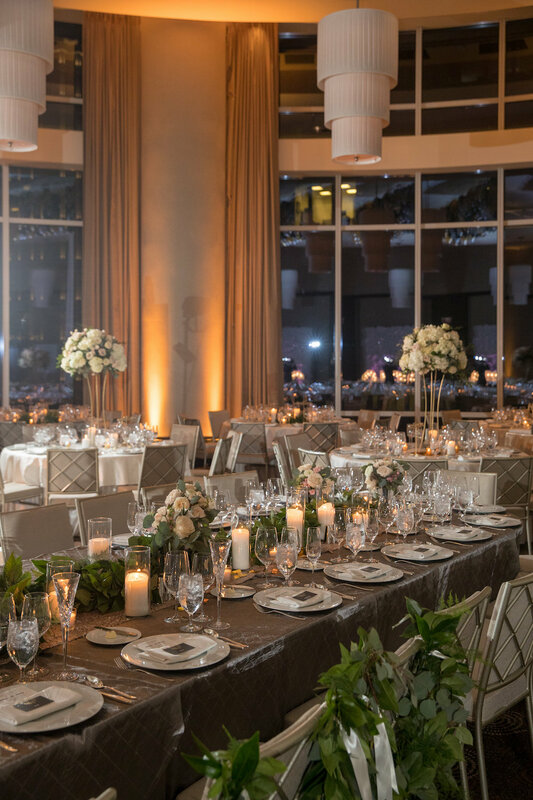 Working with some of the best vendors in Chicago, they can honestly say that they wouldn’t change a thing about their winter white wedding–negative temperatures and all. Honestly, can you beat this view?! 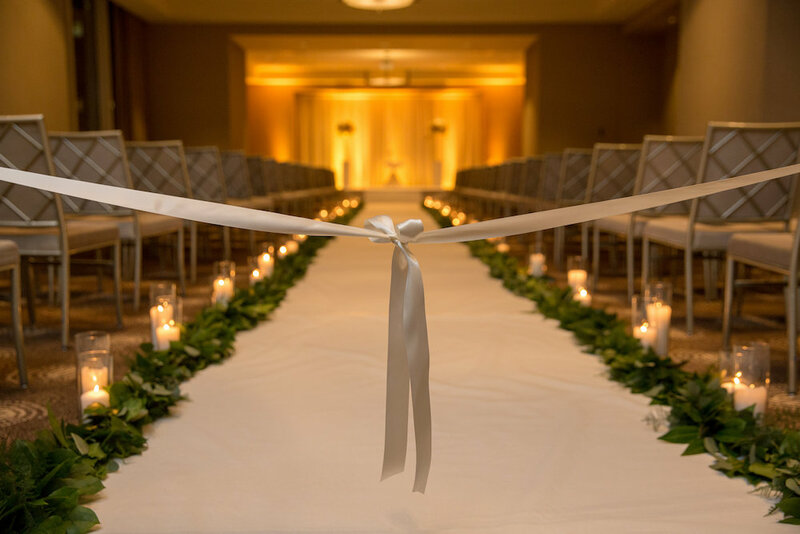 Ready to walk down the aisle and start the rest of their lives. 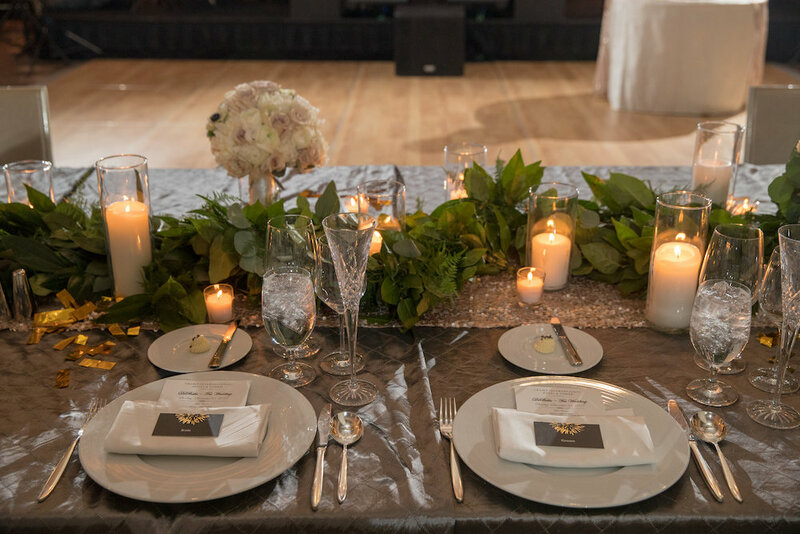 We love lining the aisle with greenery and soft-lit candles. 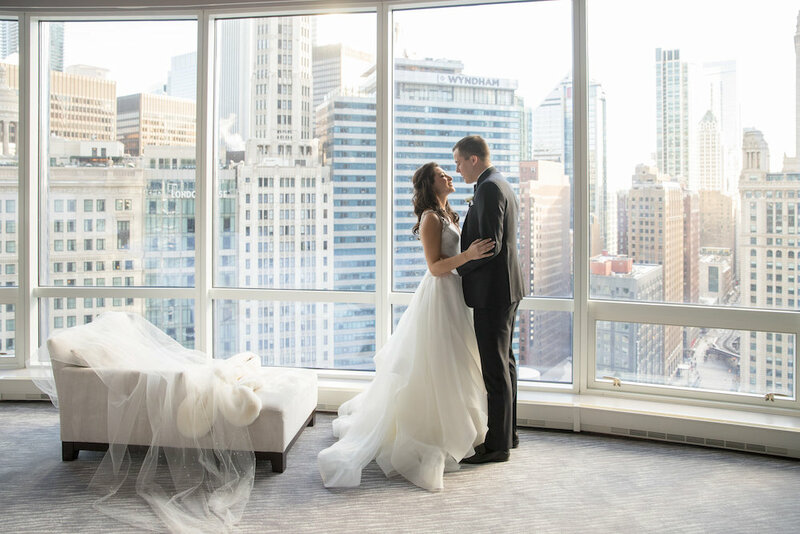 What a stunning bride and groom! 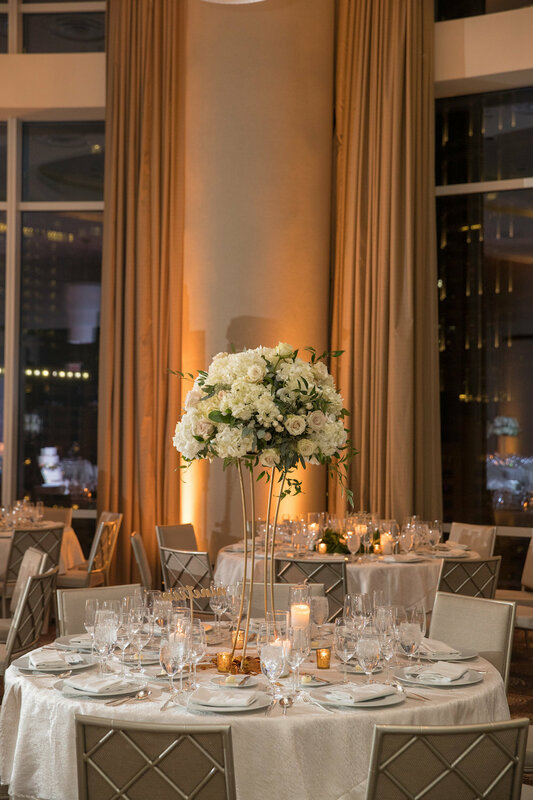 This romantic reception space really added to the ambiance of the entire night! 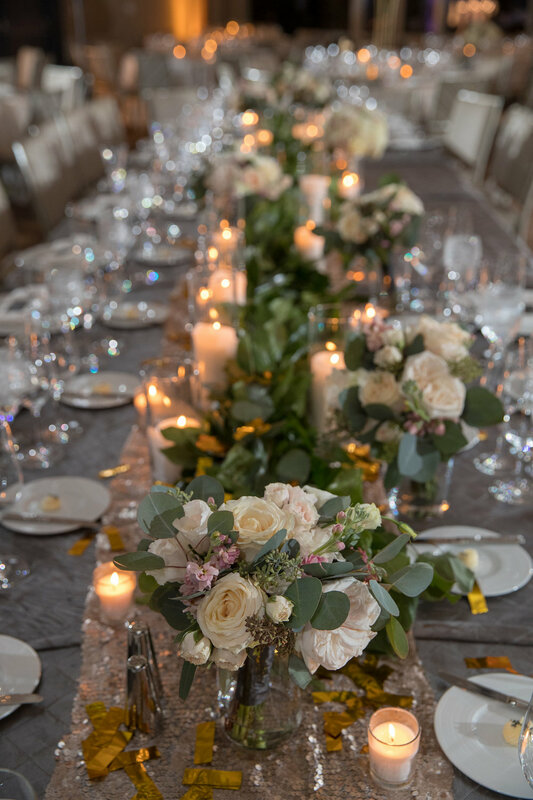 Stunning floral centerpieces greeted guests as they found their seats. 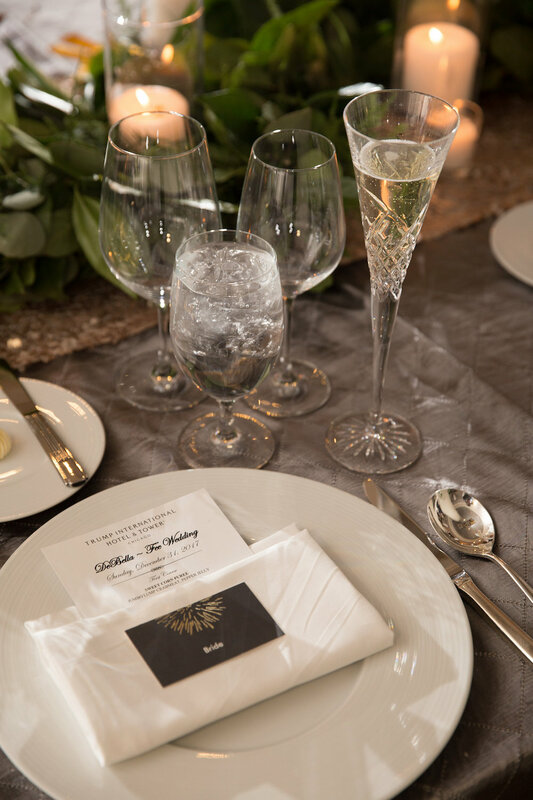 And what better way to ring in the new year than with gold confetti lining the table runner?! 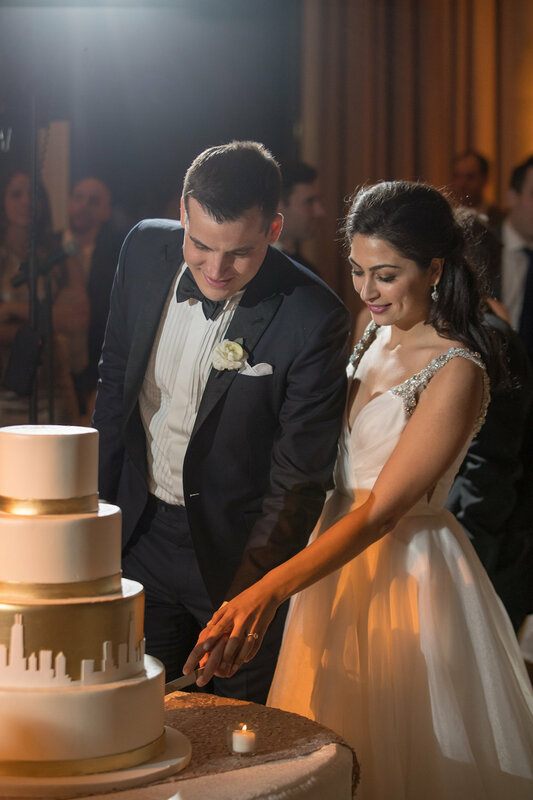 We don’t know where to look first, her gown or that cake! 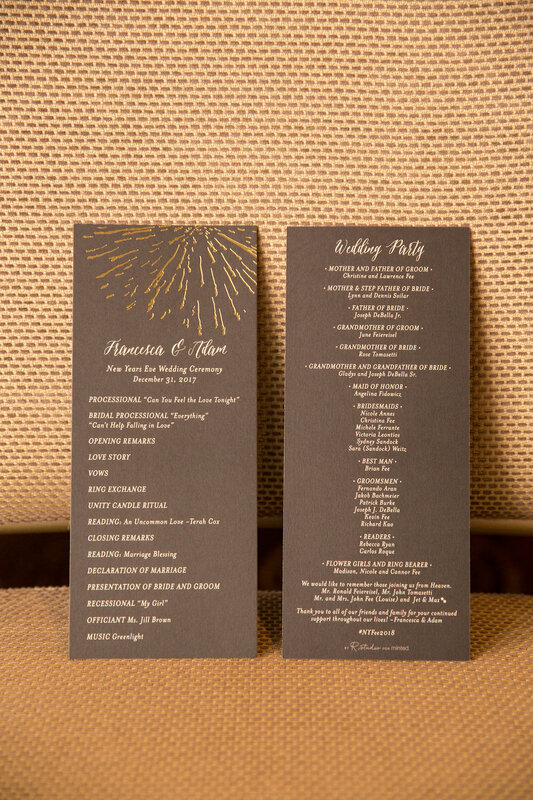 Fireworks…could it be any more romantic! 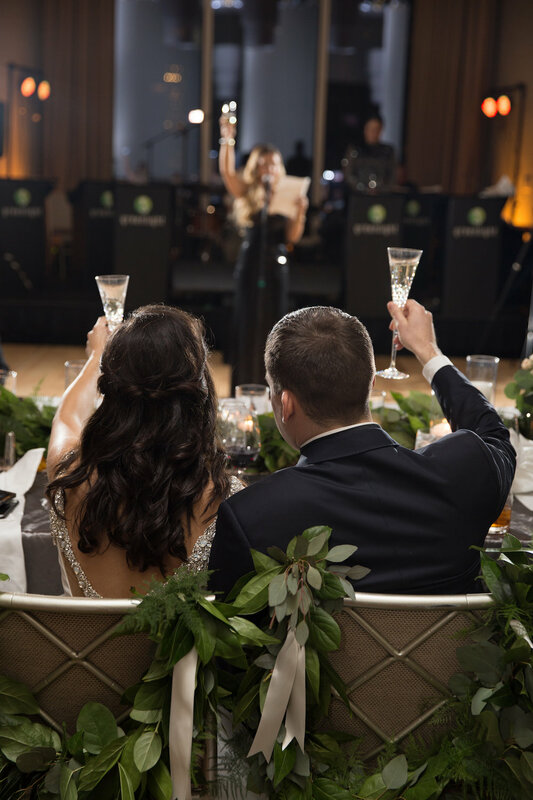 Cheers to a new year and a new husband & wife!